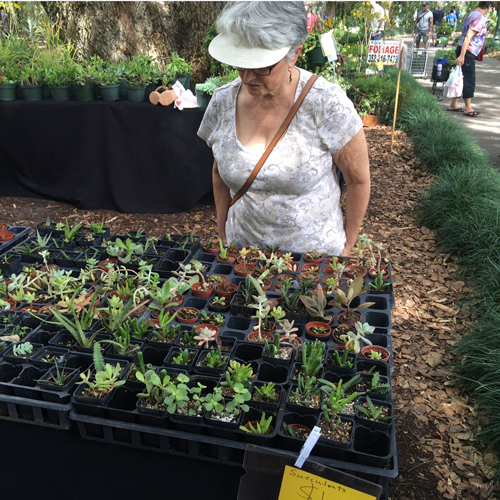 Today my husband and I drove to Orlando and visited the Annual Harry P. Leu Gardens Plant Sale—what fun! It is always fun to visit the gardens, but it is seriously fun when they have their plant sale. 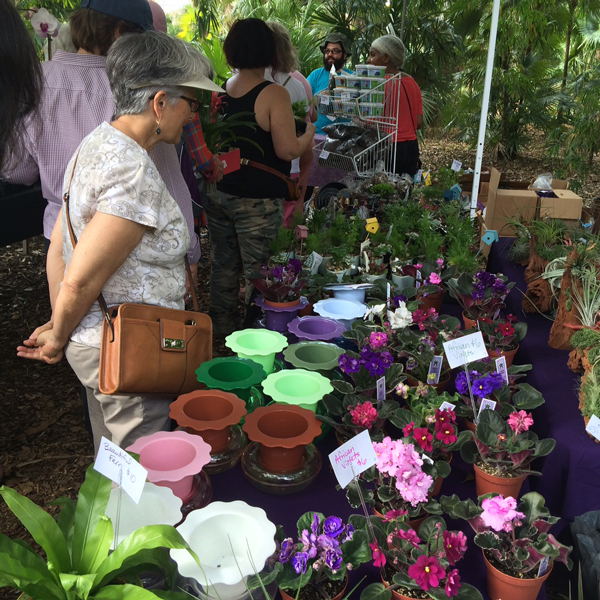 Many, many vendors set up their wares throughout the beautiful gardens. Plants, garden art, garden tools, and more! If you are looking for something exotic or something that will thrive in Florida, this is the place to find it. 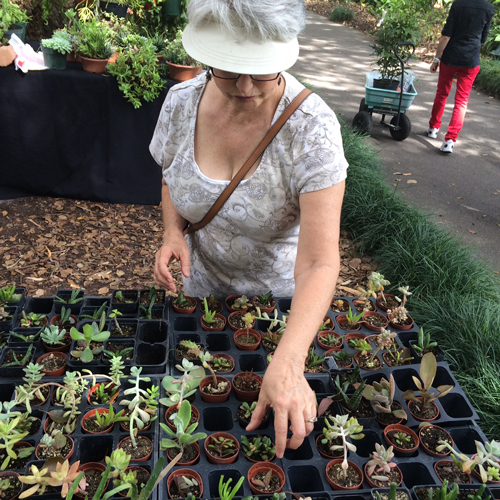 My first stop was at a vendor who sold special miniature plants specifically for fairy gardens. Yep. I bought a few. We moved throughout the show and visited nearly every single booth. Gorgeous roses, rare orchids and hibiscus, ferns, “blue-eyed” daisies, and LOTS of people with carts full of treasures. One booth had tiny succulents for only $1.00 each. You can see by the photos they were fairly well picked over. I already have quite a few so I simply looked for some that I didn’t already have. 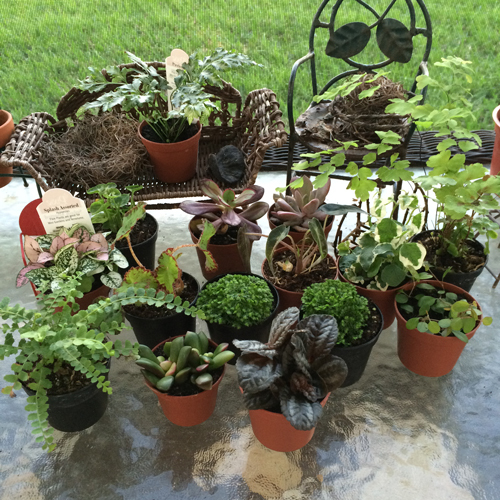 The last two photos are shots of my tiny treasures at home on my lanai. If you are in the Orlando, Florida, area and enjoy gardens, Harry P. Leu Gardens is a must! They have one of the largest rose garden displays on the east coast of the United States and a beautiful historical home you can tour. More information about Leu Gardens HERE.